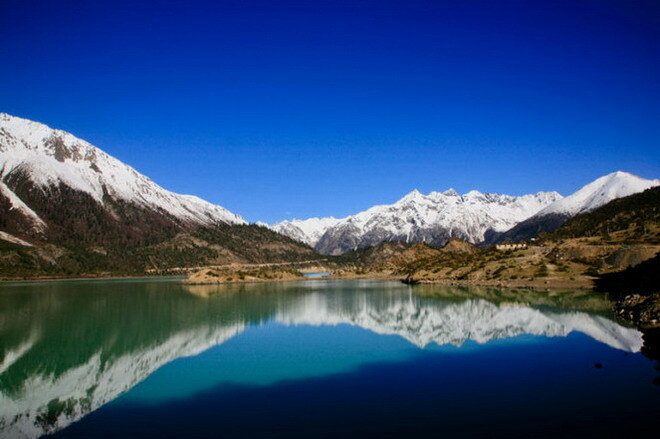 When you stand in front of the Ranwu Lake, just stare at the water, Snow Mountain and its reflection, you may feel just like a dream. Still remember that shocked by the 3D Huge Screen—Avatar? Now, you just visit the scenery and stand in the shows, and think the mountain is so magnificent and your figure is so small when comparing with the refection in the water of mountain. Just feel the scenery and will be happy and peaceful. 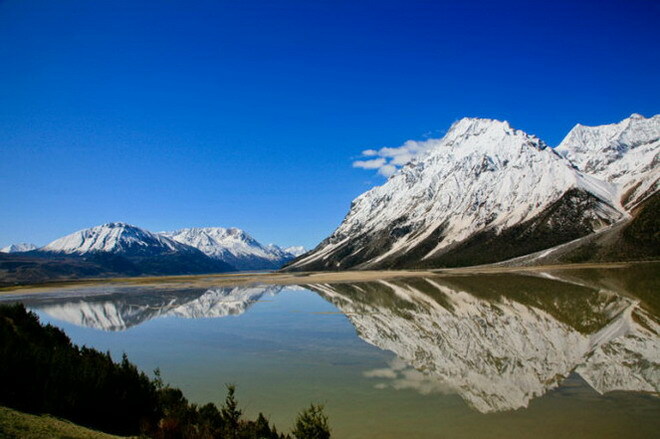 The difference between other lakes in Tibet, Ranwu Lake is surrounded by the around snow mountain, and just like one. 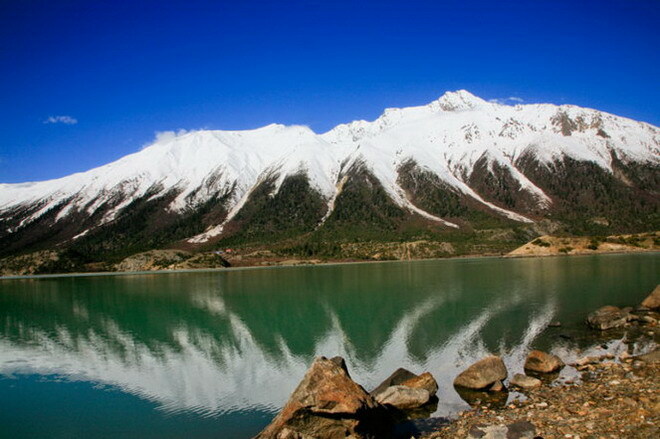 By contrast, the water in Ranwu lake is not clear and just celadon, when it is peaceful, it will shows the reflection of snow mountain. You may feel peaceful in heart when live in this lakeside. In the morning, the smoke curls up from kitchen chimneys in Ranwu Town. 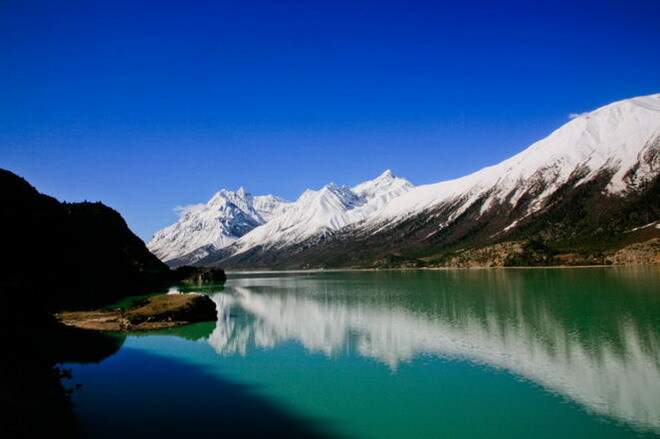 Ranwu Lake is in the Ranwu Village and 90 kilometers far from the Baima Town, which is located in the southwest of Baxoi County, Changdu District. The area is 22 square meters and the altitude is 3850 meters. 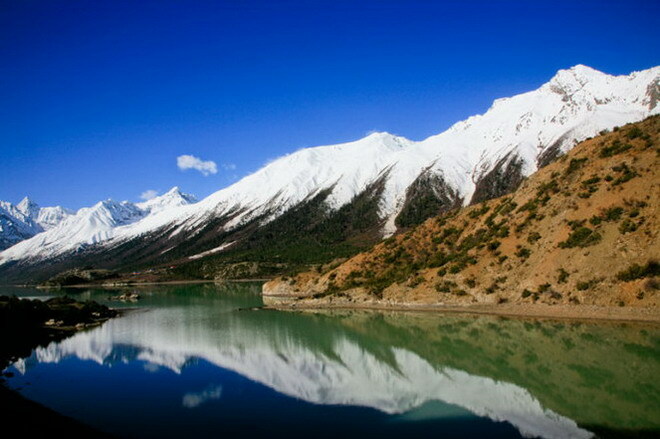 The Kangri Gabu snow is in the northwest of the lakeside, where the Azha Gongla Glacier is in the south and Boshulaling. 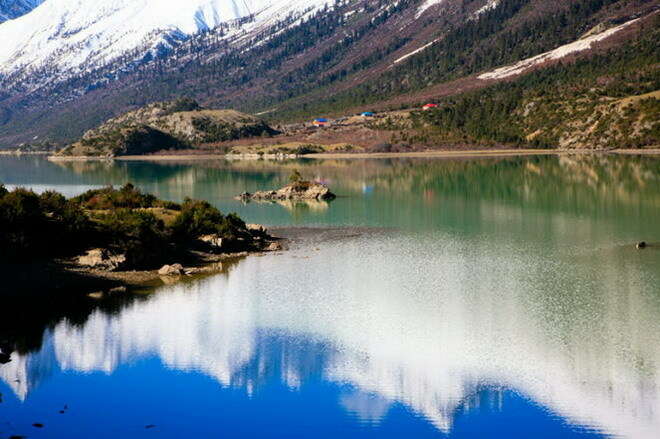 Ranwu Lake is made up of melt water of snow, which made the water flowing towards west and let Ranwu be the source of Parlung Zangbo. 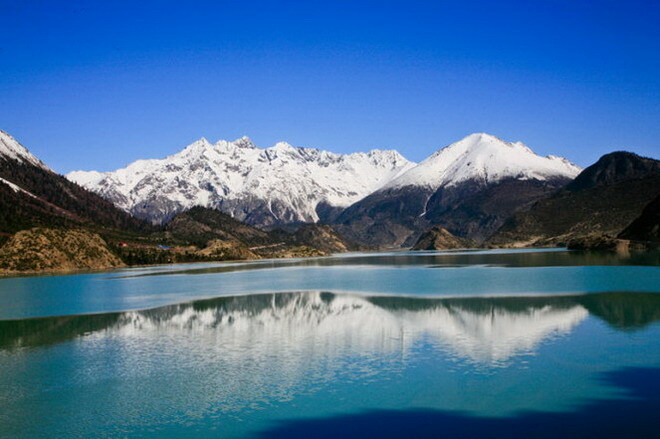 Ranwu Lake is well-known by the travelers as it is closely to the Sichuan-Tibet Highway. The shadow on the lake varies all the time and also colorful. 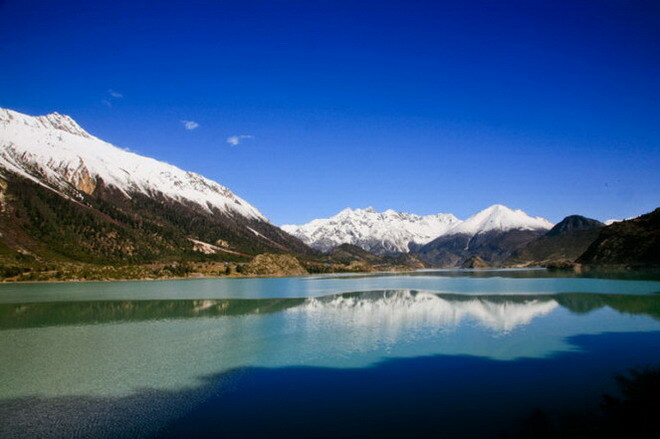 The peaceful and blue of Ranwu Lake is famous. You cannot see many sundries in the lake and the scenery is different around. There is plentiful color in Ranwu Lake. And you may see the clear shadow of grassland, forest, and leaves, white waterfowl and colorful screen. Even the painters cannot toning so complex blue. Sometimes, it is peaceful and there is ripple somewhere, then you may see the fantastic scenery. 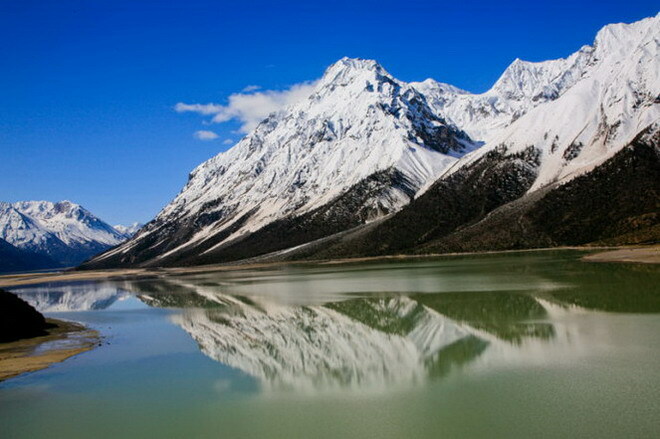 The snow mountain reflects clearly in the peaceful lake. You may feel all the things are like a dream. There is one stone at the bank, so it does not alone anymore. lake and the shadow is missing. Watch the beautiful scenery need to waiting and the right chance. 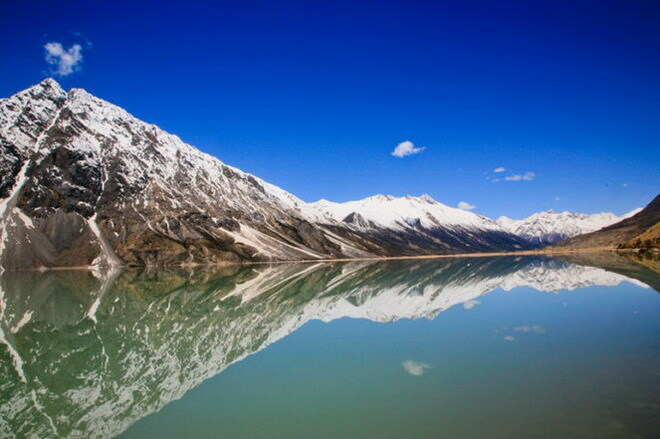 The Ranwu Lake without shadow is just a ordinary lake.